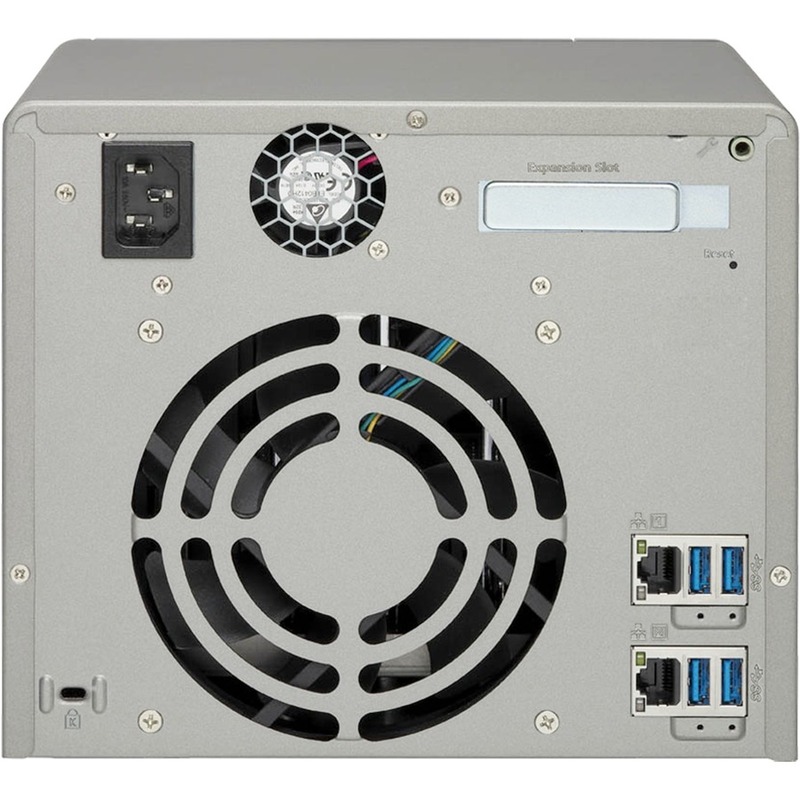 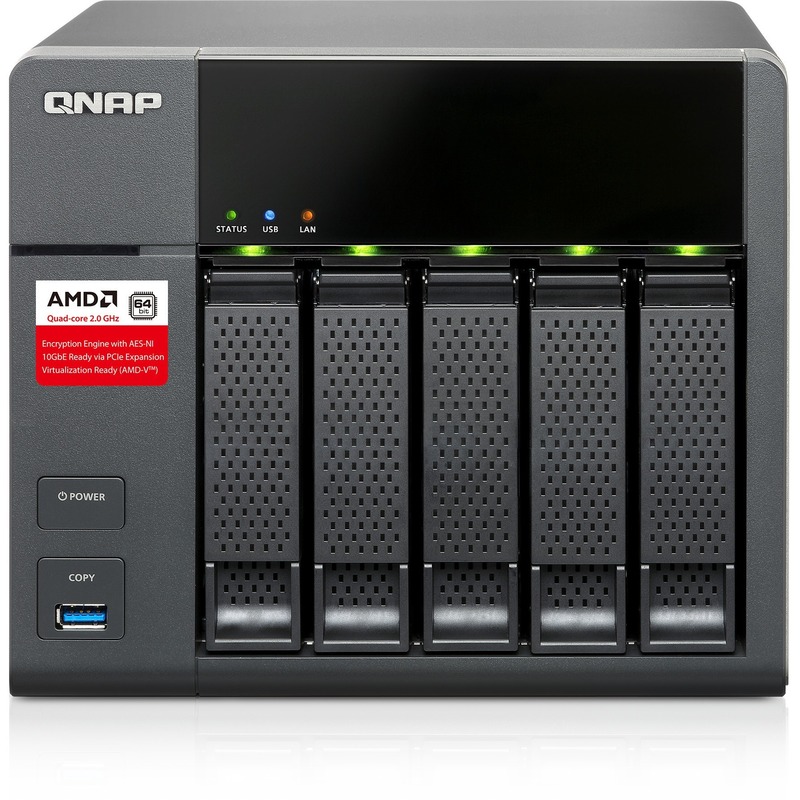 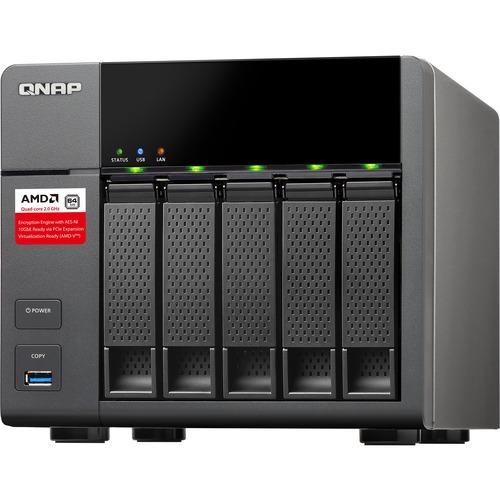 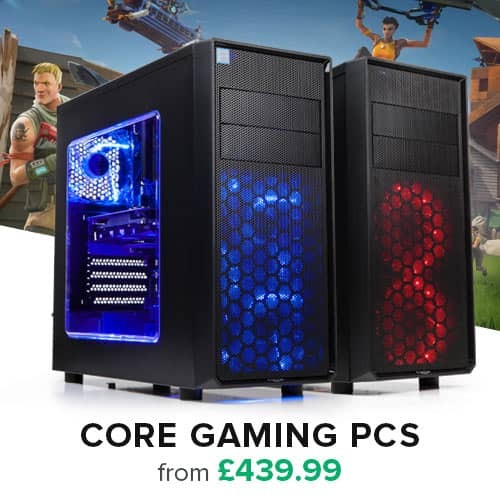 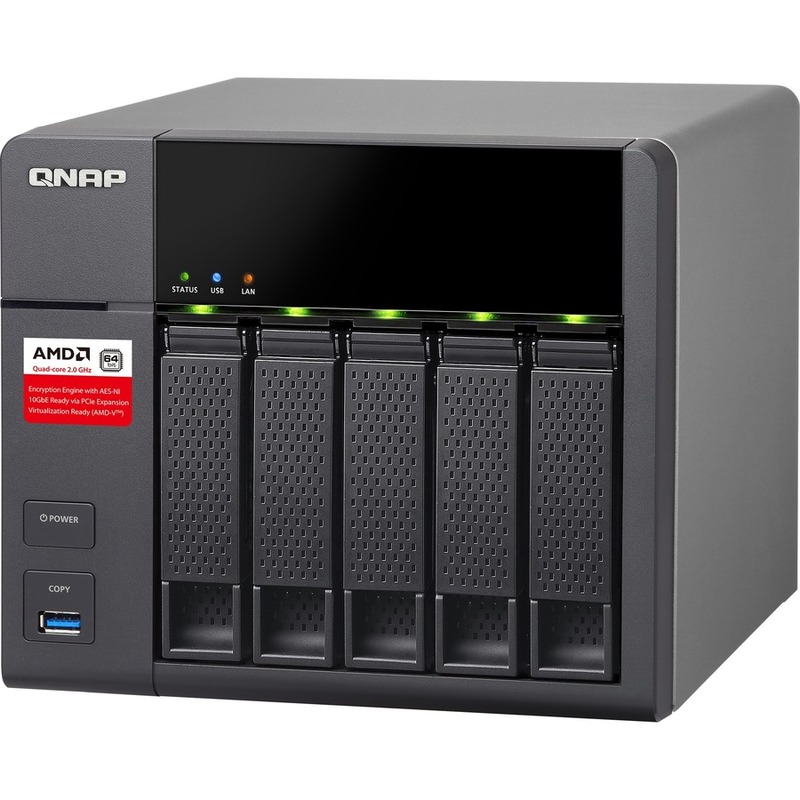 The TS-563 is equipped with an energy-efficient 64-bit AMD® quad-core 2.0 GHz processor with 2GB/8GB DDR3-1600 RAM (upgradable to 16GB), SATA 6Gb/s, and two Gigabit LAN ports (expandable to either 4 x GbE ports or 2 x GbE + 2 x 10GbE ports) for lightning-fast multi-tasking performance with SSD cache support. The TS-563 is a powerful NAS that delivers up to 819 MB/s sequential read throughput with one 10GbE configuration. 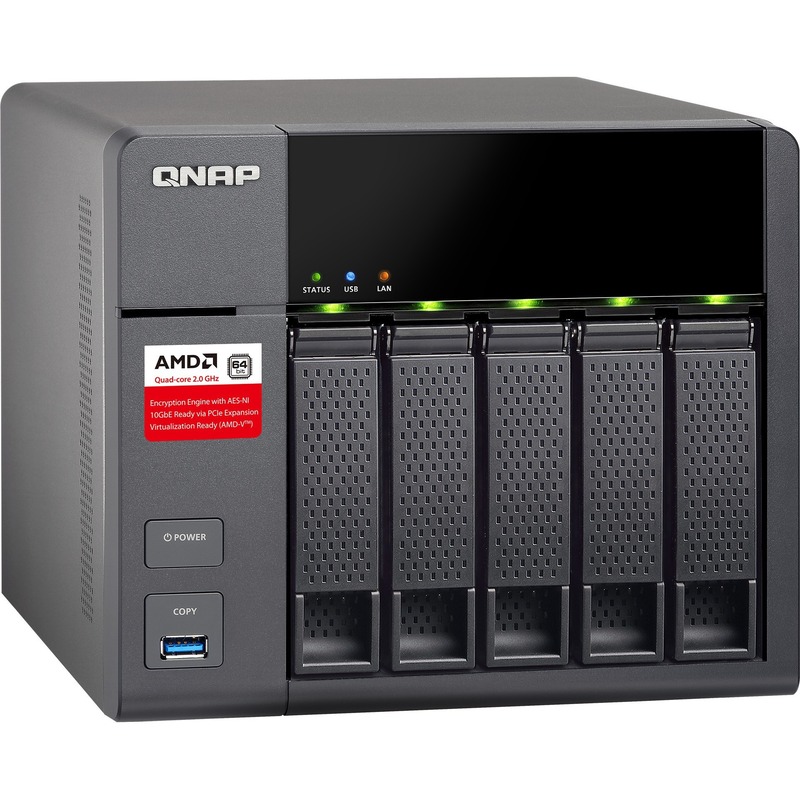 The TS-563's hardware-accelerated encryption engine provides unmatched encryption performance in its class, up to 435 MB/s with AES-256 bit full NAS volume encryption, boosting system performance & security while ensuring the safety of sensitive business data stored in the TS-563.